Rising Star is a very easy quilt pattern using strip piecing and simple construction techniques. This is also a great design to learn the easy "y" or "set in" seam. 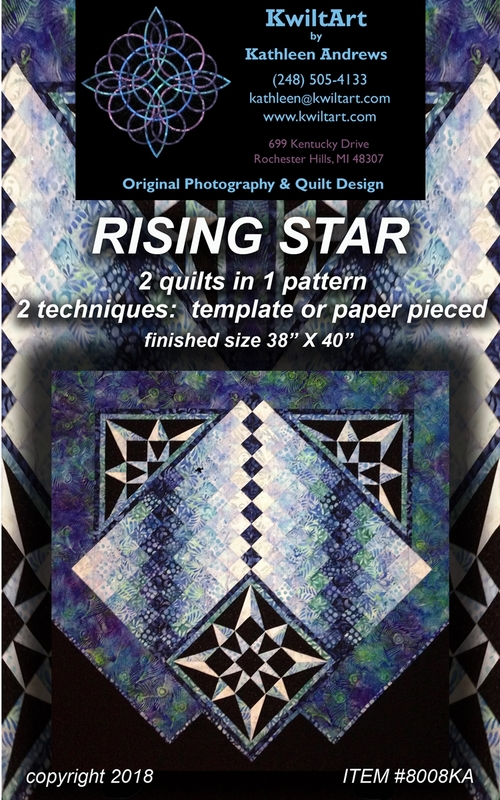 This pattern is for the confident beginner/intermediate quilter. Finished size 38" X 40".